Should You Abandon Your Investment Strategy in This Falling Market? 2017 saw a stupendous rise in the Indian stock markets. It felt like the party would continue for quite some time. But investors were in for a rude shock. Since the start of 2018, Indian stock markets have been quite volatile. The midcap and small cap stocks, in particular, saw their prices plunging. What about the Sensex? Since the start of this year, the Sensex has been flat. But if you consider the months of September and October alone, then the Sensex has lost around 9%. These volatile times are when the temperament and mettle of investors is seriously tested. And it is also the time probably when investors are tempted to ditch the investment strategy they had adopted. Especially when they see losses mounting in the stocks in which they had invested. Hence, I thought I would highlight why it is important to stick to your investment strategy through thick and thin, and not keep changing it because of how stock markets behave. To drive home my point, let me turn your attention to some big names in the investing world. Warren Buffett. Benjamin Graham. Philip Fisher. Peter Lynch. Each of them identified stocks that multiplied returns on their portfolios. That is the one factor that binds them in common. But here's where it gets crucial. Have the strategies to accomplish these feats been the same? Not really. Dig a bit deeper and you will find some differences in the way they went about investing in stocks. For instance, Benjamin Graham followed a more quantitative approach while picking out stocks. He believed in investing in companies, whose stock prices are very distressed or are available at deep discounts to their intrinsic value. Warren Buffett, also believes in the concept of intrinsic value. But he also believes in healthy moats, robust franchises, and good management quality. For very strong companies that display such characteristics, he does not mind paying a fair price for them. Here's how you can join them – and claim a FREE copy of this report. Just click here. Philip Fisher believed mostly in growth stocks and invested in companies that fell in the high growth to moderate growth in their lifecycle. Thus, he did not mind paying a high multiple for the stock except when the valuations were exceptionally high or in the momentum zone. What worked out for each of them is that they had identified the philosophy that works best for them and stuck to it through various cycles. This we believe is very important. 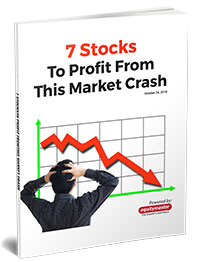 Many a time, during periods of extreme bullishness or bearishness in the stock markets, investors are tempted to abandon their chosen strategy and cash in on the momentum or sell everything in panic. Let us highlight this with a simple example. Let us say you been doing a lot of reading on Warren Buffett. You are now convinced that buying good quality stocks which are trading at a sufficient discount to intrinsic value is what will help you build a robust portfolio in the long run. Now, the current volatile market will really test your mettle. Why? Because you would have already identified quality companies in the past and invested in their stocks. But given the spate of corrections we have seen, you are nervous about whether investing in them was a good decision in the first place. In fact, you are on the tenterhooks. You are probably thinking that now is not the time to increase your exposure to equities, when in fact that is what exactly you should be doing. Bullish sentiments in the markets can throw up a dilemma of a different kind. As a value investor, you might not find very cheap stocks in which to invest. But your friends and colleagues, who have a different investing mindset, will probably think otherwise. They would rather focus on high growth companies and pay a higher price for those stocks. What more, your friends will immediately reap benefits as they see the stock prices rise in tandem with the overall momentum in the markets. And this will once again tempt you to ditch your investment philosophy because you don't want to feel left out. This, I believe, is a recipe for disaster. If you have decided that buying good quality stocks at cheap valuations is your thing, then you must stick with your conviction. Markets can be extremely bullish during one period, and extremely bearish during the next. Timing markets is futile. But good investing is for the long haul. And sticking to your chosen investment strategy, will enable you to generate wealth in the long run. Speaking of volatile times, the recent correction in the markets, threw up a company with solid business fundamentals but available at low valuations. In other words, a bargain. So, as the Editor of The India Letter, I recommended this stock to my subscribers. I will be on the lookout for more such opportunities. Radhika Pandit (Research Analyst), is the Editor of The India Letter and is one of our senior analysts with more than a decade-long stint in the field of equity research. She has helped build our pharmaceutical sector research from scratch and has a firm grasp of the Indian automobile industry. Being an ardent follower of Warren Buffett's value investing philosophy, she believes in investing in solid businesses for the long haul. We request your view! Post a comment on "Should You Abandon Your Investment Strategy in This Falling Market?". Thank you for posting your view!